Rowan Williams numbers not only among the most influential theologians in the world, but among the top living minds, period. His career is both impressive and praiseworthy—dedication over the course of his career to both local church ministry and the Christian academy, faithful leadership at the top of the Anglican Communion through its recent global rupture, and no hesitation to use his weight as a public theologian and political figure in the UK and beyond. Williams also keeps writing lovely little books for the church, like The Sign and the Sacrifice: The Meaning of the Cross and the Resurrection. This book is divided neatly in two. Part 1: The Meaning of the Cross is subdivided into “The sign,” “The sacrifice,” and “The victory.” Part 2: The Meaning of the Resurrection is split into “Christ’s resurrection—then” and “Christ resurrection—now.” Along the way Williams presents, analyzes, and invites us to contemplate just as wide of a swath through Christian history, theology, and practice as the book’s subtitle and organization suggest. Deep dives into Scripture and theology accompany references to literature as well as—in what turns out to be most distinctive in this book—the hymnody and prayers of the church. The annoyance I have with this book is that points of theological argument and conversations in Biblical criticism are frustratingly lacking in footnotes. The bigger qualm I have is that in the second part of the book, I want Williams to unequivocally state, “I believe in the resurrection of the body,” and he never does. There are certainly statements that can be read that way, particularly a conversation on how Jewish conceptions of resurrection at the time of Jesus could not imagine a resurrection apart from this earth. In Part 2 as a whole, however, I find Williams to be equivocating on what the nature of Jesus’ resurrection is, and thus the nature of what our resurrection will be, although he certainly believes that God raised Jesus from the dead, and that it was the defining act of the new creation. In terms of best audience and application, the book is successfully aimed at normal church folks. It is intellectually serious, but it isn’t unapproachable, and it even has helpful conversation questions at the end of each chapter. For me personally, I can think of several people to recommend it to, especially fellow pastors. It would be a tremendous book to plan a sermon series around, especially during Lent. Jesus’ death is not a ritual sacrifice. It doesn’t happen in a temple, it happens on a bleak hilltop on an execution ground. Jesus’ sacrifice is the sacrifice of obedience. At every moment of his life he has given his heart to God in such a way that God is able to work through him with no interruption, with no diversion. At every moment Jesus has fulfilled the law; not by ticking off at the end of every day a series of acts performed; not by obeying God like a reluctant corporal with a sergeant major ordering him around; but at every moment Jesus has done what God wants. So even before his crucifixion we could say in Jewish terms that he was offering a sacrifice, giving his heart to God in such a way that God is pleased with his gift. But as with those martyrs in the period between the Testaments, it was an obedience that led to death. Jesus’ single-minded gift of his heart to the Father leads him to the shedding of his blood, because obedience to God in this world of sin, oppression and violence puts you lethally at risk. This is a world in which if you try to give your heart to God you may find your blood shed. How, then, did people create, maintain, or restore good relations with a divine being? What visible acts could they do to reach an Invisible Being? Again, they could give a gift or share a meal. In sacrifice as gift, an offerer took a valuable animal or other foodstuff and gave it to God by having it burned on the altar. In this case, the animal was totally destroyed at least as far as the offerer was concerned. No doubt the smoke and smell rising upward symbolized the transition of the gift from earth to heaven, from human being to God. In sacrifice as meal, the animal was transferred to God by having its blood poured over the altar and was then returned to the offerer as divine food for a feast with God. In other words, the offerer did not so much invite God to a meal as God invited the offerer to a meal. That understanding of sacrifice clarifies the etymology of the term. It derives from the Latin sacrum facere, “to make” (facere) “sacred” (sacrum). In a sacrifice the animal is made sacred and is given to God as a sacred gift or returned to the offerer as a sacred meal. 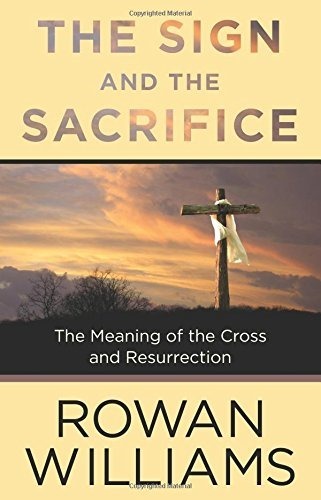 I’m drawn to this selection because I’ve never heard a more satisfying sermon or lecture on the different things that sacrifice seems to mean in the Old Testament, or a more illuminating connection-in-brief made between the Mosaic sacrificial system and the Eucharist.